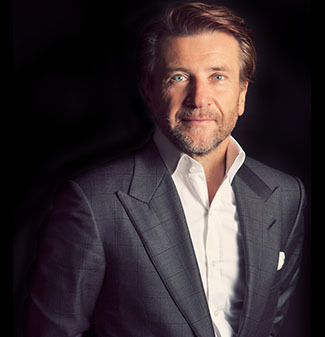 Many people know Robert Herjavec from the television hit series, Shark Tank, from his appearance on Dancing with the Stars, or from the cover of Inc. magazine this summer. His full time job, however, is CEO of the Herjavec Group, a multinational, managed services cybersecurity provider. 1. Today’s cyber-criminals prefer to target data, rather than to steal dollars. It used to be that state-sponsored hackers wanted to access data for espionage purposes, but most criminals wanted to steal money from online accounts; today, however, many criminals understand that the financial rewards of pilfering data are often greater, so they target confidential files rather than peoples’ checking accounts. Keep in mind that banks have talented security teams, and can reverse fraudulent transactions, but payments made by victims in order to be freed from ransomware, or made by unscrupulous parties to purchase stolen data sold on the dark web, are hard to reverse. Data theft also often goes undetected, a benefit not available to criminals who steal money. 2. Ransomware is a huge, and rapidly-growing problem affecting everyone. Ransomware – that is malware that prevents a person or organization from accessing computer systems or data until a ransom is paid to some criminal – is growing both in terms of the number of attacks, and their sophistication. Sometimes, ransomware is even utilized in attacks that remain dormant – infecting an organization but not inflicting damage for some time – giving criminals (or their malware agents) the ability to scan for the most valuable targets within an enterprise rather than visibly targeting the first devices that they encounter. According to Herjavec – and the recent cybercrime report issued by Cybersecurity Ventures – losses to ransomware this year may approach $1 billion. You read that correctly. 3. The healthcare sector is quickly becoming attackers’ primary target. Whereas financial institutions used to be the top target of criminals, the healthcare vertical is now a primary target, if not the primary target. Facilities and businesses in this vertical typically have far fewer resources dedicated to information security than banks, and are usually far less prepared to handle an onslaught of attacks. They also have a much greater level urgency – if ransomware infects a hospital computer system whose data is needed in order to keep patients alive, for example, there is likely insufficient time to hire security professionals to try to get rid of the malware or to take down and restore systems and data from backups; the ransom may need be paid relatively quickly or people may die. 4. Internal users are increasingly sharing information that they should not be. 5. Cybersecurity is becoming increasingly global. Just like professionals in other industries, information security workers in different regions of the world often historically utilized different technologies and approaches to solve similar problems. There are many reasons for this including the fact that smaller firms almost always utilized local service providers, and larger firms in different regions were subject to different standards and regulations. Today there is a trend toward much greater standardization worldwide, which is likely a positive development, because hackers have always viewed the world as one, and better approaches and technologies are now more likely to become widespread. 6. Businesses must adapt due to the severe shortage of cybersecurity professionals. A severe, and growing cybersecurity workforce shortage is forcing firms to increasingly rely on third-parties as part of their information-security strategies. In some cases, firms are training their already overwhelmed information-security staffs to perform the “higher value jobs” and utilize a managed service provider for the routine, foundation-type tasks. In other situations companies need highly skilled consultants to help with the highly skilled functions as well. As the shortage of cyberprofessionals is expected to get worse over the upcoming years, the need for outside help is likely to grow. Furthermore, as attackers continue to increasingly target enterprise IT infrastructures, systems, and databases with sophisticated cyber-attacks (as alluded to in the first bullet point above, criminals want access to these treasure troves of data), the need for additional trained resources to defend organizational assets continues to grows; with a shortage of qualified people, many firms recognize that they simply cannot adequately handle imminent threats internally – reinforcing the need for service providers and consultants.